The Dual Credit program at Missouri Southern has received accreditation by the National Alliance of Concurrent Enrollment Partnerships (NACEP). Dr. Paula Carson, provost/vice president for academic affairs, made the announcement during the June Board of Governors meeting. The program allows area high-school students to get a jump start on their baccalaureate degree by taking simultaneously taking high-school and university-level courses. 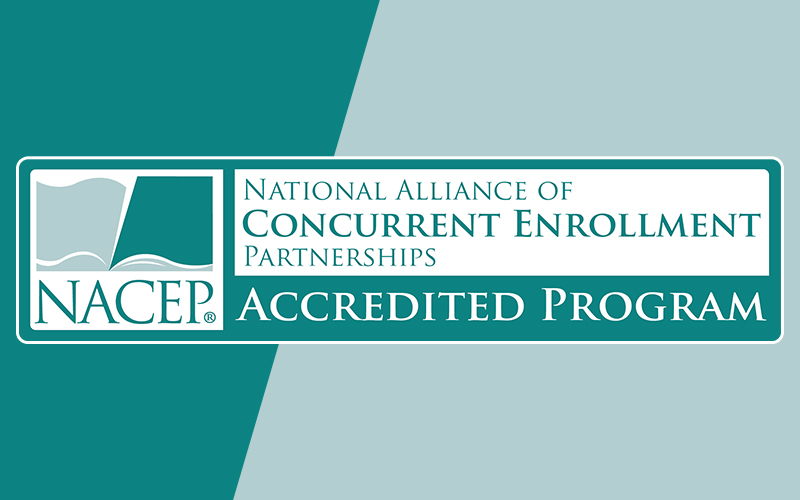 The NACEP is the sole accrediting body for concurrent enrollment partnerships between high schools and colleges. Accreditation standards include holding enrolled students to the same standards of achievement as on-campus courses; offering accountability through program evaluation; ensuring that instructors meet academic requirements, and that the courses are of the same quality and rigor as the on-campus classes. Brett Meeker, director of concurrent enrollment at Missouri Southern, said that a team effort was involved in becoming one of just 105 concurrent enrollment partnerships nationwide to receive accreditation from the organization. The university will be recognized as an accreditation recipient during the 2017 NACEP National Conference in October in Washington, D.C.